. كما يقدم Blackheath Motor Inn الكثير من الخدمات لإغناء رحلتك في بلو ماونتيينز. يمكن لضيوف الفندق الاستمتاع بالميزات التالية على أرض الفندق: واي فاي مجاني في جميع الغرف, تسجيل وصول/خروج سريع, تخزين الأمتعة, صف السيارات, غرفة عائلية . 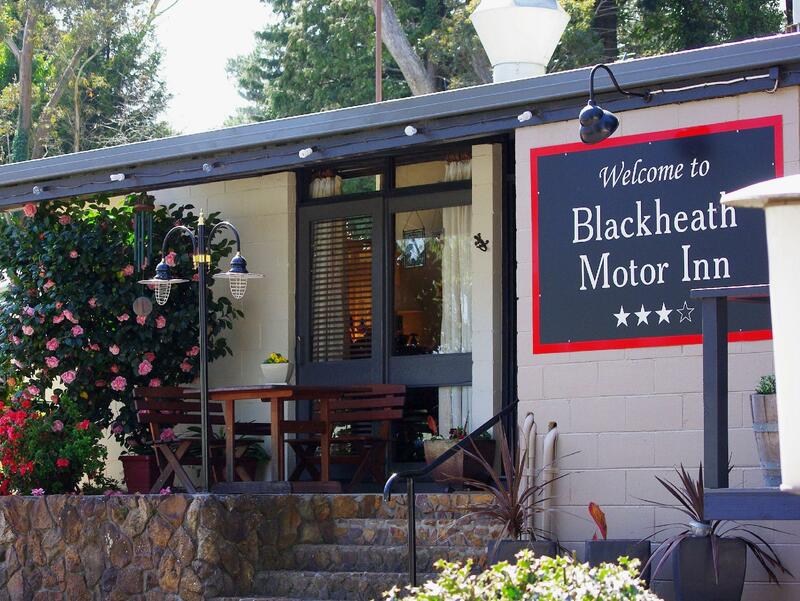 تنعكس أجواء Blackheath Motor Inn في غرف الضيوف.تلفزيون بشاشة مسطحة, اتصال لاسلكي بشبكة الإنترنت (مجاني), حوض الاسترخاء, غرف لغير المدخنين, مكيف هواء هي بعض الميزات الموجود في العديد من الغرف. يقدم الفندق مجموعة رائعة من الخدمات كمثل مسار جولف - ضمن 3 كم, حديقة، لجعل إقامتك تجربة لا تنسى. إن Blackheath Motor Inn هو خيارك لخدمة الفنادق الراقية في بلو ماونتيينز. The room was clean as i expected based on reviews read before booking. Seamless check in and out process. The owners were lovely. My husband and I went on an overnight hike while in Blackheath and the owners were every helpful and allowed me to leave a suitcase while we were on the hike. I loved my stay here. Garry was very welcoming and helpful. My deluxe room was very quaint and cosy, warm despite the freezing weather. 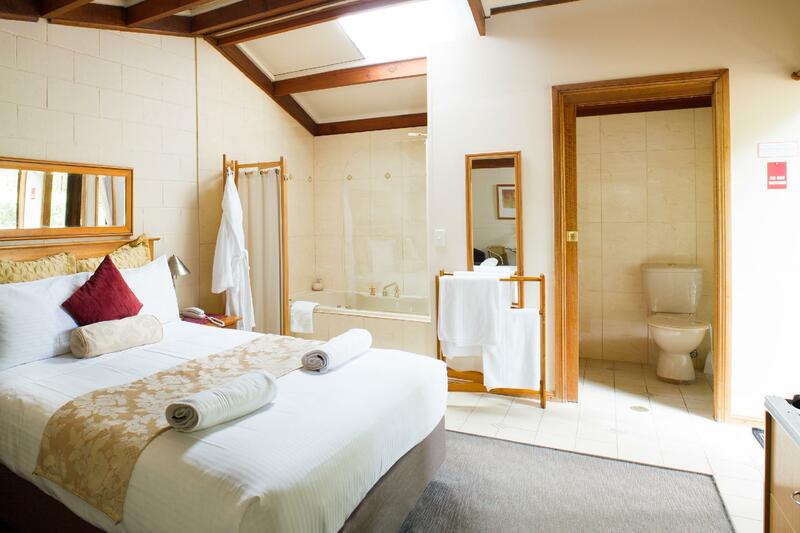 This place was fantastic value for money and I will definitely stay again! Highly recommend - even if you’re used to staying in pricier hotels give this place a try!! Very friendly staff, very comfortable room. The high ceilings with think wooden planks give a warm cabin feeling up in the mountain. Room was a little bit tired but smelt and looked clean. I would definitely recommend and would stay there again myself for sure. Absolutely recommendable accommodation. We loved the wooden interior in the rooms. Breakfast was served to the rooms. Because it was heavy rain all day, they even phoned us to tell they have got some DVDs for hire...if we return to the Blue Mountains, we will definitely stay there again! It was a great base for our short trip to the Blue Mountains with our 2 sons. Excellent value for money. I was very unhappy with the way I was greeted to the motel. I arrived at 1030pm and the owner came out when I rang the bell shouting at me that I should have called to let him know that I would be 'late' as reception closed at 830pm. I told him I didnt see any such notice on the agoda website. He then blamed agoda and did not apologise. When I asked for breakfast the next morning, he said I shouldnt get any because I was late. I insisted and he provided half of what I ordered the next morning. Extremely poor service. I will not be going back.